The safest city in the Lone Star State is Colleyville, a Tarrant County suburb of Fort Worth named after a Union army vet who became a highly regarded physician in the area. Colleyville’s 0.23 violent crimes per 1,000 is a whopping 26 times lower than the statewide average. At #2 we have Keller, another suburb located in the sprawling Dallas-Fort Worth metroplex. 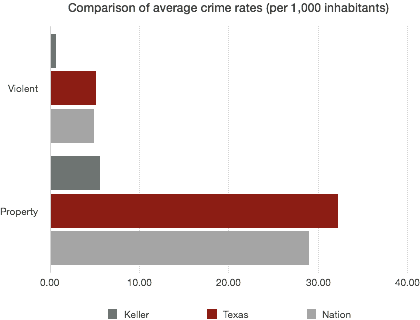 Keller has been repeatedly recognized for its safety, and its crime rates compare very favorably with statewide rates. Third on the list is Highland Village, a small suburb of Dallas along the southwestern portion of the manmade Lewisville Lake. Highland Village logged a mere 8 violent crimes in the latest statistical year. 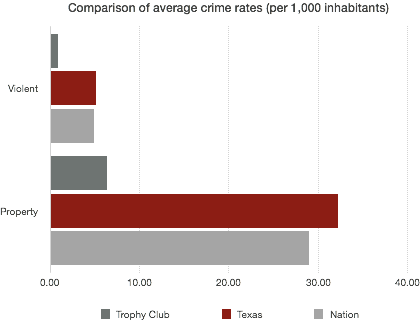 Filling out the top five are two more suburbs of Dallas: the uniquely named Trophy Club (#4) and Murphy (#5). 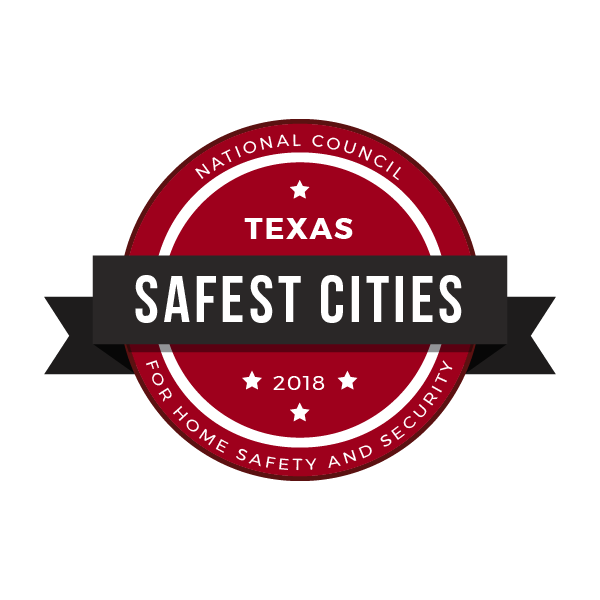 To identify the safest cities in Texas, we reviewed the most recent FBI Uniform Crime Report statistics along with our own population data and internal research. We eliminated any cities that failed to submit a complete crime report to the FBI and removed cities with populations under 10,000. PROUD NEW DESIGNATION FOR COLLEYVILLE!